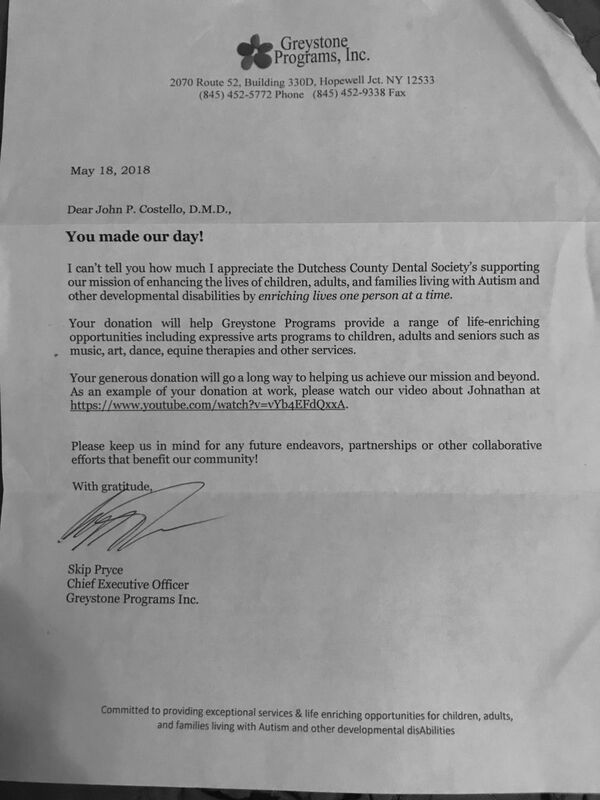 The Dutchess County Dental Society is an organization for Dutchess County Dentists, committed to continuing education and the advancement of current dental knowledge. Lunch and Volunteer T-shirt Included! 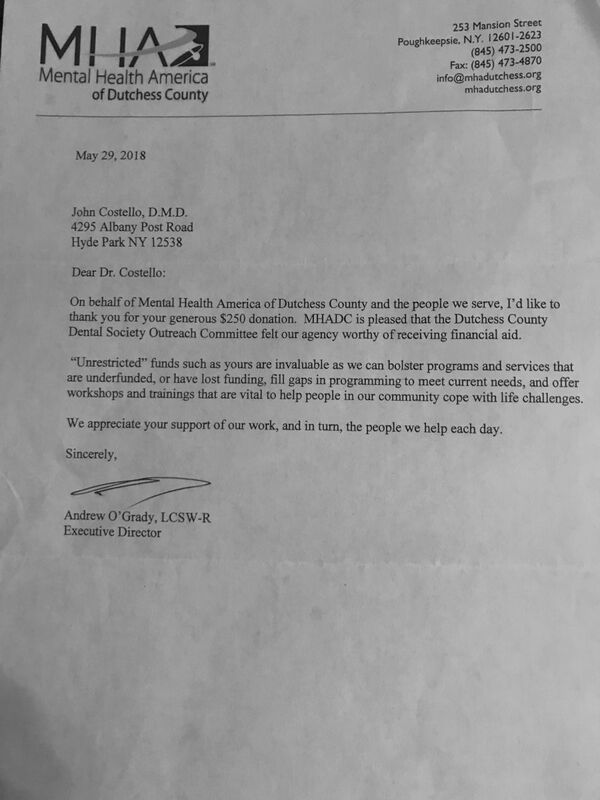 Dutchess Count Dental Society donated to several worthy local organizations. We received these awesome thank you letters! 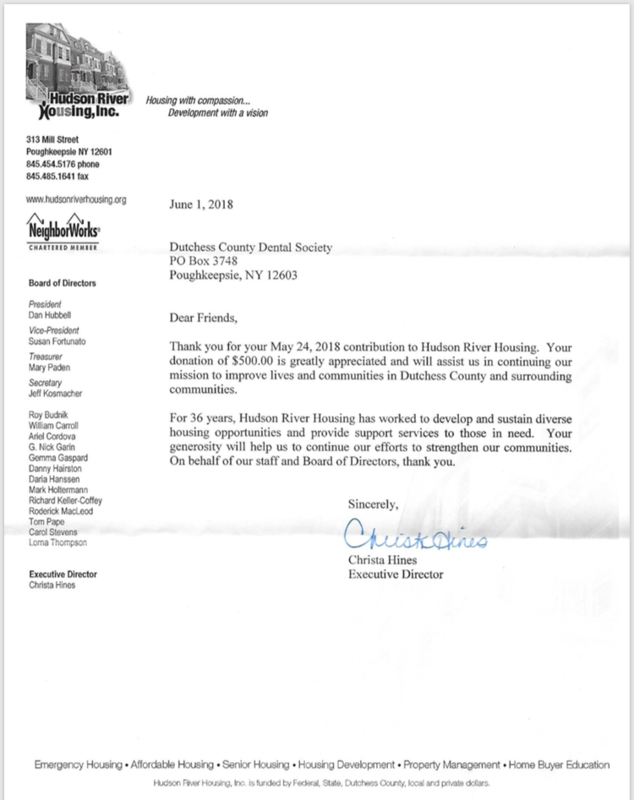 One of our own, Dr. Irving Baum, has written an article on The Dutchess County Players - an amazing outreach program for school children. Read the article HERE.